Get Ready for a Coaster Quest! Jason Zone Fisher journeys across America on a quest to ride the biggest, fastest roller coasters the country has to offer. 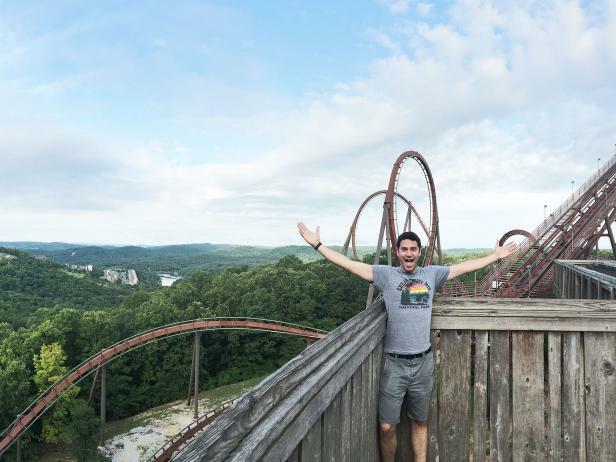 Host Jason Zone Fisher journeys across America on a quest to ride the biggest, fastest roller coasters the country has to offer. He dives deep into each amusement park, going behind the scenes to see how it all comes together and sharing insider info on the best rides, the must-have foods and the quirkiest attractions. Each stop on Jason's thrilling theme park expedition is filled with unbelievable twists and turns as he discovers what keeps the lines moving and the rides running like clockwork. Jason Zone Fisher goes behind the scenes at Holiday World in Santa Claus, IN, where he rides three record breakers. Then, at Silver Dollar City in Branson, MO, he tackles the world's only wooden roller coaster to do a double barrel roll. Jason Zone Fisher heads to Orlando, FL, to take on some extreme coasters and serious good eats at Universal Studios Florida, Island of Adventures and Volcano Bay. He also gets a behind-the-scenes look at the Wizarding World of Harry Potter.